Wildlife, a Statue of Liberty and family connections with the Queen Mother make Gibside a National Trust property which stands out from the rest. Gibside is an extensive estate on the southern slopes of the Derwent Valley in Tyne and Wear. It covers 182 hectares (450 acres) and has many outbuildings, monuments and points of interest, along with the shell of its once-grand mansion which had 70 rooms that were adorned with over 300 works of art. 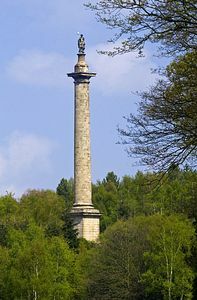 It is gradually being restored by The National Trust. the coal mined on the estate to enhance the buildings and redesign the landscape in Forest style. George Bowes daughter married the ninth Earl of Strathmore, John Lyon, in 1767 and so the Bowes-Lyon family name began. It led down through the generations to Elizabeth, who was destined to become Queen and later Queen Mother. She was known to have often visited the family at Gibside, dining out on the lawns. The walled garden is currently used as a car park, but there are plans to restore it to its original use. 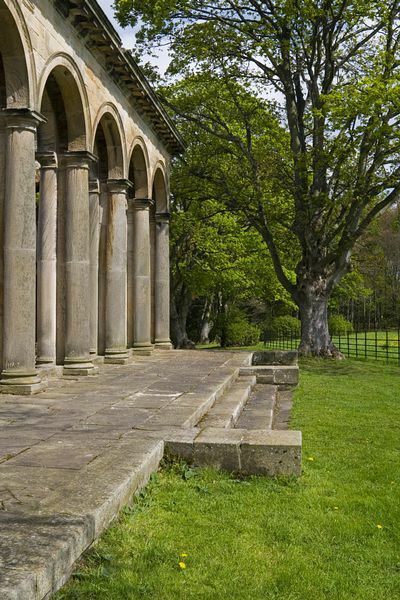 From there, visitors enter the main gardens where the Gibside Chapel graces the broad lawned area. Generations of the Bowes-Lyon family made their contribution to the estate. 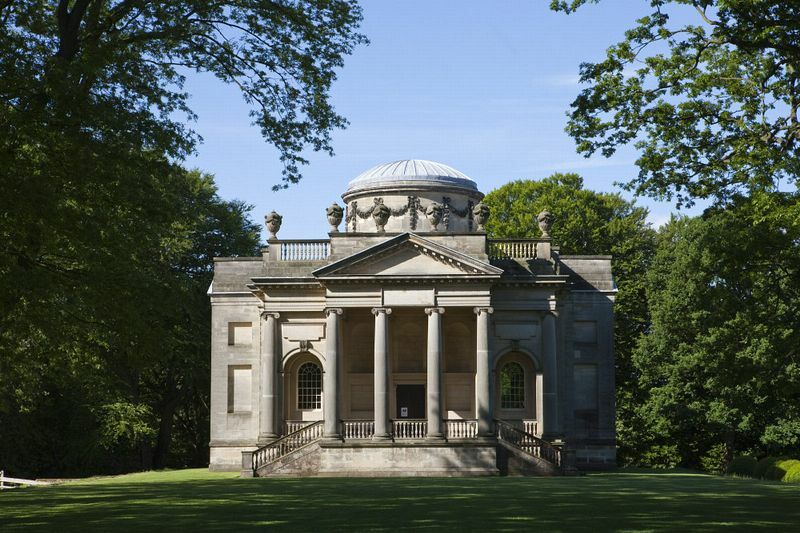 The chapel was completed by the tenth Earl of Strathmore, John, in 1816. The Palladian style was designed by John Paine who clearly admired the architectural style of buildings in Ancient Greece and Rome. The Chapel is still used for monthly services, weddings and concerts. Beneath the floor the ancestors are laid to rest in the mausoleum on their home turf. The Chapel doorway looks down the Long Walk, which draws the eye to the 140-foot high column, a local landmark, built in 1750. It is taller than the similar Nelson's Column in Trafalgar Square and its figure of "Liberty" is a century older than the better known monument marking the gateway to New York's waterway. Mary Eleanor Bowes-Lyon added the Orangey in 1774, which has superb river views. Although the hall is a ruin, the massive stable block is fully restored and has an interesting exhibition about Gibside's history as well as a collection of old carriages. It also provides a home for the pleasant café which serves light lunches and local picnic food. Go North East 'The Red Kite' 45, 46/A from Newcastle (passing Newcastle and Metrocentre), alight Rowlands Gill, ½ mile. NCN14, ½ mile View local cycle routes on the National Cycle Network website. 6 miles south west of Gateshead, 20 miles north west of Durham; entrance on B6314 between Burnopfield and Rowlands Gill; from A1 take exit north of Metrocentre and follow brown signs. Blaydon 5 miles; Metrocentre 5 miles. ½ mile from Derwent Walk, footpath/cycle track linking Swalwell and Consett.